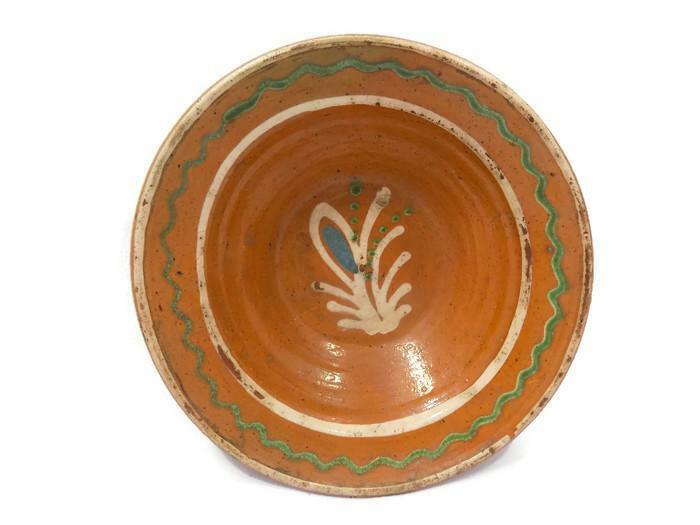 The underside of the bowl is unglazed and has a wonderful darkened patina. 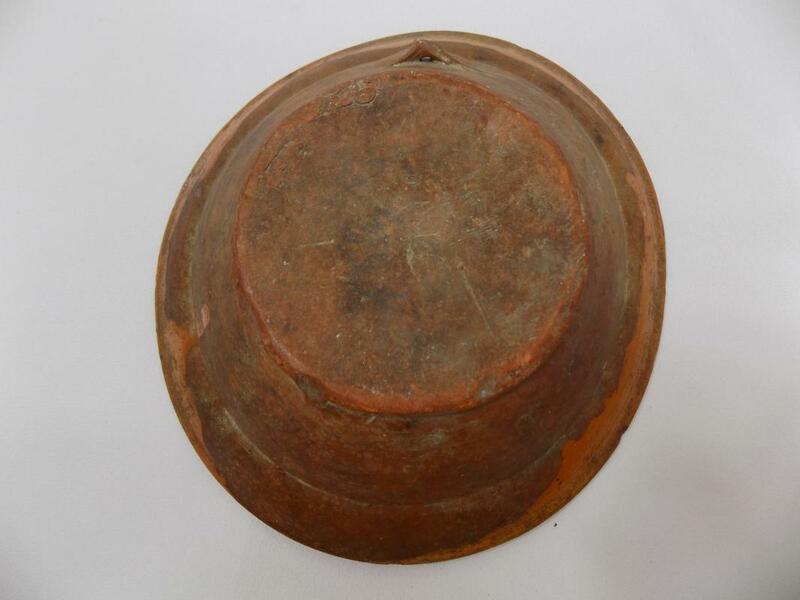 The bowl is slightly out of round, measuring 7 1/2 inches by 8 inches wide at the top rim, about 2 1/2 inches high and has a base diameter 4 inches. 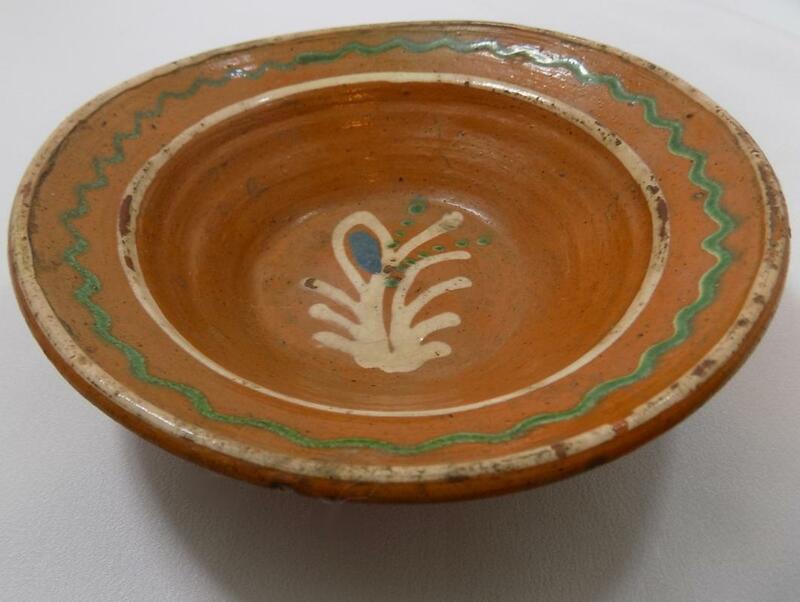 It weighs 3/4 of a pound and is in great condition, with no cracks, hairlines or repaired damage, just some minimal wear to the slip decorations. 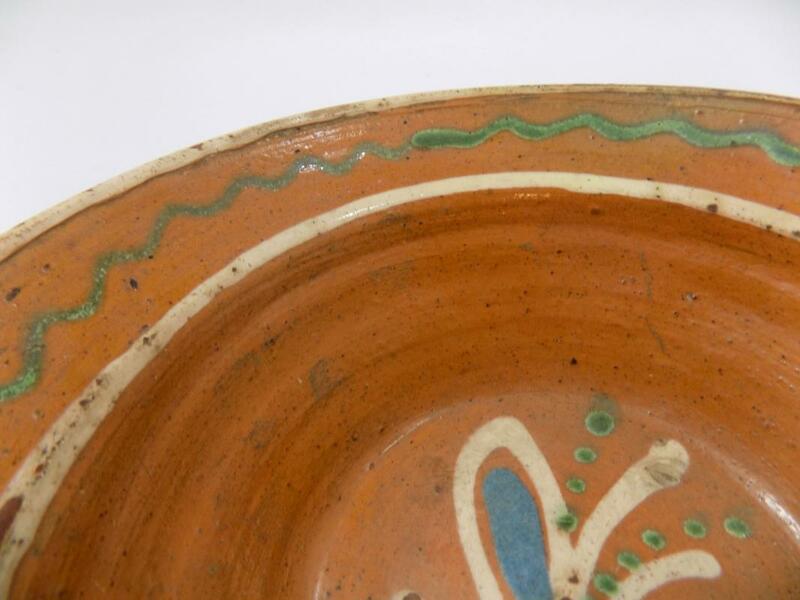 The bowl has a hanging loop molded in near the top of the underside. 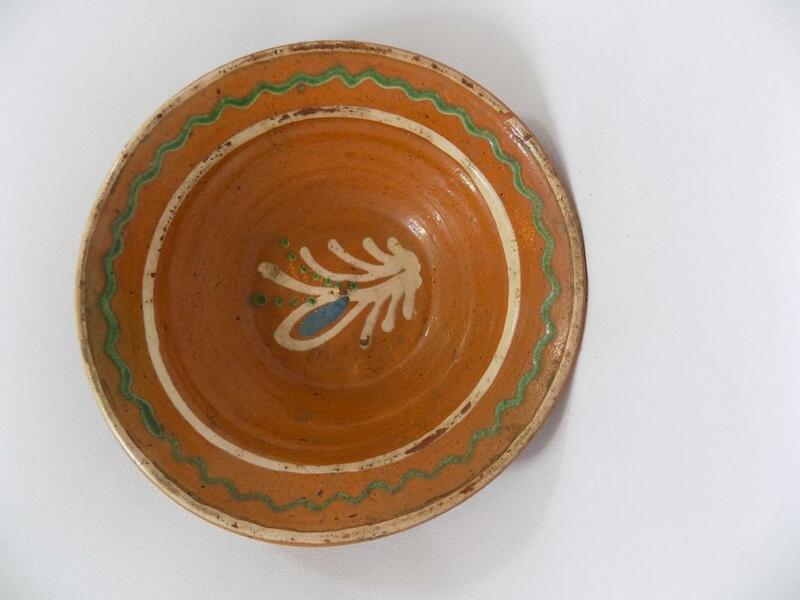 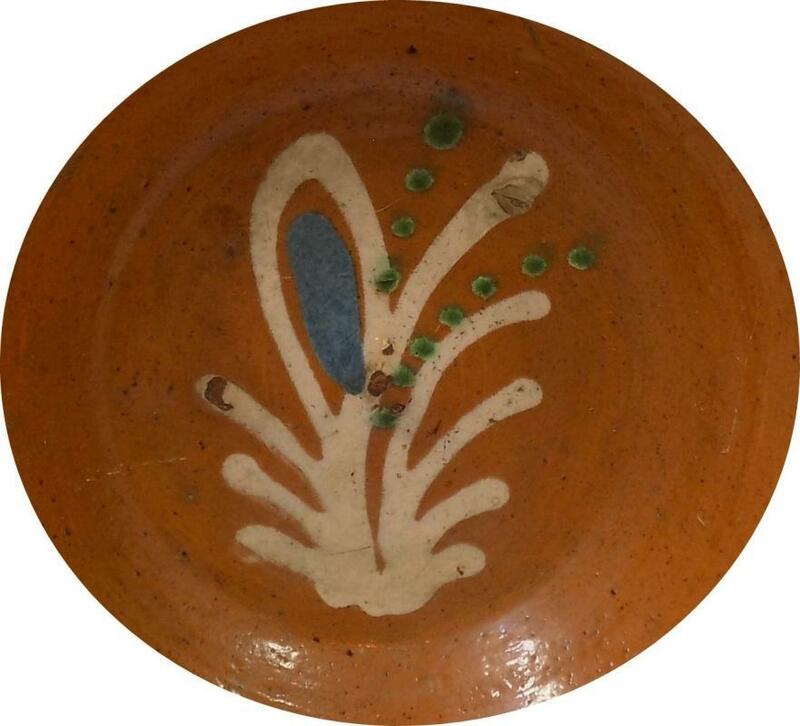 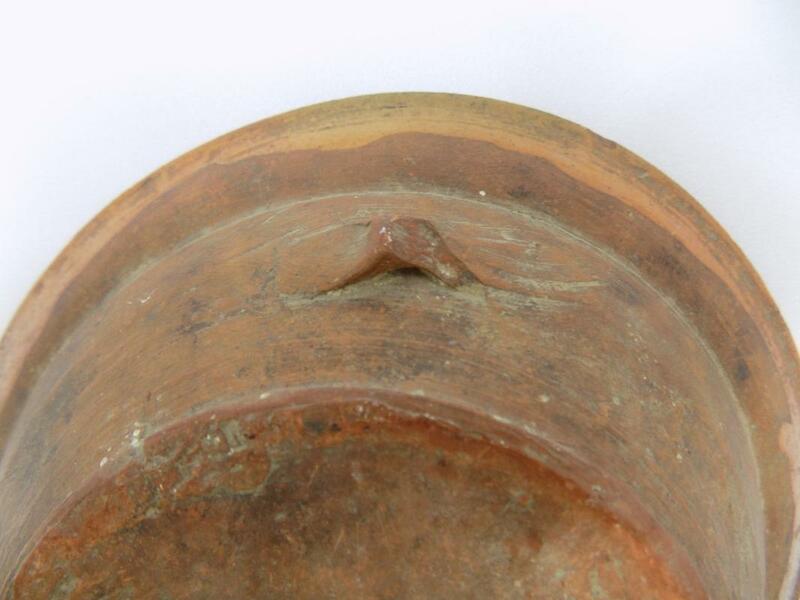 This fine early 1800's redware bowl is a delight for admirers of primitives and antique earthenware.